What an absolute pleasure to have met Miss Leigha and create her senior portraits. I’ll never forget her photo shoot day… it was raining so hard on the drive that highway traffic was slow going but I could see the blue sky to the west and just had a feeling that the weather was going to clear – leaving us the most beautiful summer evening along the Lake Michigan shoreline. BOOM – totally worked out!!! The last rain drop fell just as we met in downtown Holland and the dramatic colors showcased her stunning smile and sparkling eyes. Beautiful beach evening for a beautiful young lady! Her senior photo shoot was fabulous! Thank you Leigha for a wonderful evening and for allowing me the honor to be your senior photographer. Sending you all the best this senior year! 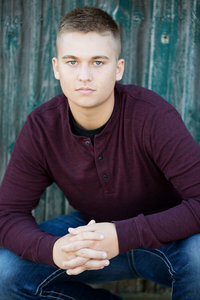 Senior Portrait Photographer located in West Michigan. Urban studio located in Grand Rapids, Michigan. Location travels from Hastings, Middleville, Caledonia, Wayland, Byron Center, Lowell, Holland, Grand Rapids, Cascade, Kentwood, & surrounding areas. West Michigan travel included with Senior Sessions. Professional prints and products included with Senior Collections. Digital Files, phone apps, & personal online galleries also available. Contact me today for detailed pricing guide and available dates. Now booking Senior Portrait Sessions August – October of 2017 (class of 2018 seniors).